Green is one of the main trends this season. Following the predominance of military inspired styles and darker greens throughout autumn and winter, this season has seen brighter and lighter shades grace the shop floors. From men's green suits to shirts and chinos, there is a piece to work into your wardrobe this summer. Explore green style at the Idle Man. 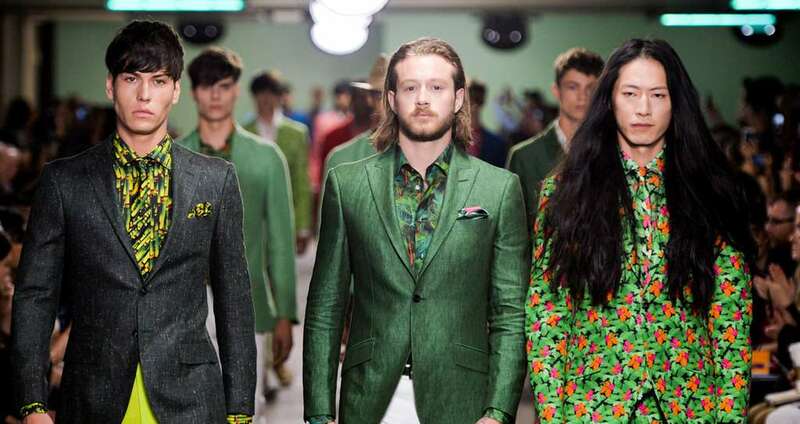 Last year, Spring/Summer 16 menswear runways saw green come to the forefront. From Richard James, Paul Smith and Burberry to Hermes, Berluti and Craig Green (excuse the pun), designers have pushed the boundaries of traditional menswear, incorporating every shade of green into their designs, from dark (forest, army, hunter, bottle) to light (laurel, asparagus, mint, sage) to bright (tropical, lime) and bluer shades (sea green, teal). Every season only five or so trends make it mainstream, and green is one of them. This is a continuation from winter when dark green bombers, trenches, tees and jumpers, as well as camouflage prints dominated high street stores. Now, not only have greens lightened up a little, but materials have adapted to the summer weather, with light cottons and linens moving to the forefront. Whether you opt for a versatile green to complement other neutral colours, such as navy, beige, grey, or black, or choose a brighter statement piece, green will keep you on trend this season. Green can be worn casually, in field jackets, shirts or chinos, as well as formally, as a stylish alternative to the traditional grey or navy suit. Green's an easy look to pull off. Here's how to wear green in style this season. Suits in the workplace are traditionally navy, grey or black (please avoid, you're not going to a funeral). While these colours are not always strictly formal (they can be more casual depending on fit and material), they are safe. Don't get me wrong, there's nothing better than a well-fitting, beautifully-crafted navy suit, but sometimes it's good to be a little adventurous. 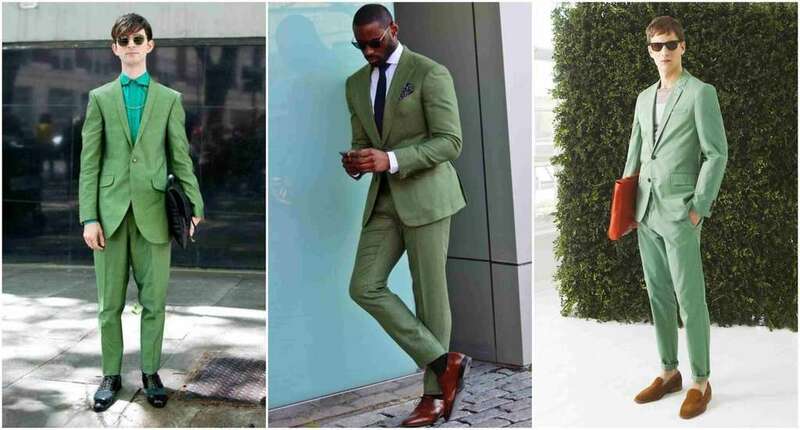 You might look at lighter neutrals, shades of blue, burgundy, or green, whether this be an olive or a forest green men's suit. Green is a little bit off boardroom formal and it's perhaps not suitable for an extremely conservative environment. If the main suit colours in your workplace are navy and grey, it doesn't however mean you should avoid green altogether. The key is to understand your working environment, and judge for yourself whether it is formal enough. If you're thinking about green in the workplace, perhaps the most versatile option is olive green. 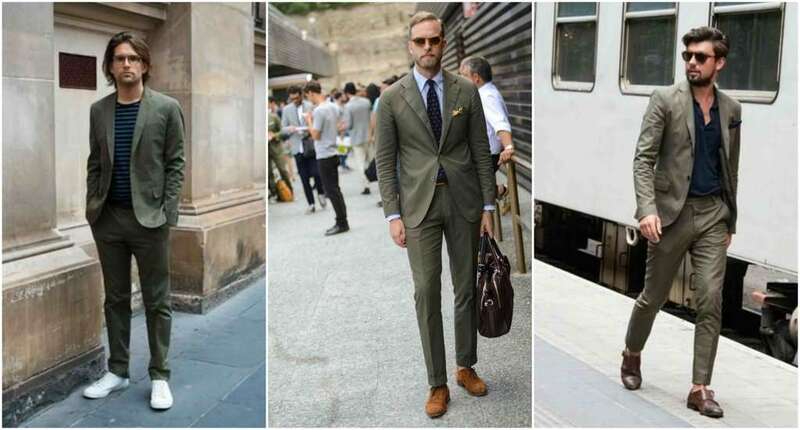 Arguably the most versatile of all green suits, the olive green suit can be worn to create both a formal and smart-casual aesthetic. While not as smart as a navy or grey, it's comparable to a khaki, brown, or tan. As a neutral colour, olive will unquestionably fit into a less formal or smarter creative environment, but still enable you to stand out from your work mates. Colours that go with olive green include white, blue (sky, navy), grey, black, cream and light pink. Anything which is toned down is worth a try. Materials of olive suits vary from 100% wool, wool-polyester blends to 100% cotton, linen, and cotton-linen blends. Cotton, and particularly linen will provide breathability across the summer months, but be weary, both shall wrinkle a little through constant wear. 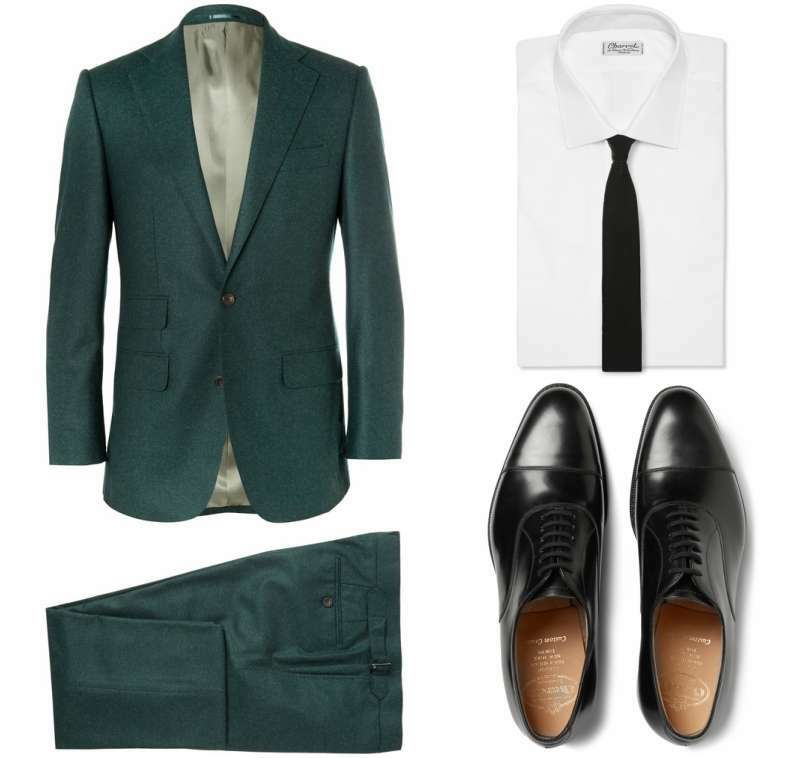 While traditionally viewed as more of a winter piece, a dark green suit can be styled to suit the summer months. Lightening up the rest of your outfit and accessorising in a seasonal fashion are key to this. Dark green suits are usually constructed from lightweight wool, giving them a high-quality and durable material without the shine. While not quite as versatile as olive, a dark green suit is worthy of any formal gathering, dinner or social event. Light green suits are primarily made from lighter materials - think linen and cotton. 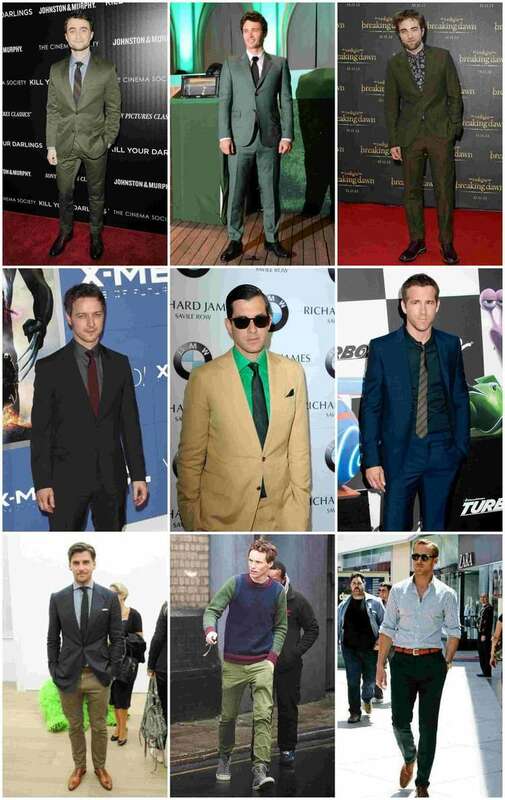 Unlike their darker counterparts, light green suits are much more season orientated. They're a statement piece, and should be the focal point of your outfit. So whether you choose a pastel, a lime, or a sage, don't be too outlandish with shirts and accessories. White, light blue, and neutral coloured shirts will all work with a lighter green. It's all about experimentation, and finding out what looks 'right' to the eye. If you do decide to push the boundaries, start with a cuban collar shirt to create a seventies vibe. High quality light green suits are not common place in high-street shops, so you may have to look outside the box. Focus on fit. Regardless of shade, opt for a slim (rather than skinny) or tailored fit. Both are versatile, and can be worn with trainers and brogues alike. Make sure you've got plenty of movement, and that there's no risk of any unfortunate rips. If you want to make more of a statement, opt for a wider notched, or a peaked lapel. Want to know how to style? Let's go through a few looks. 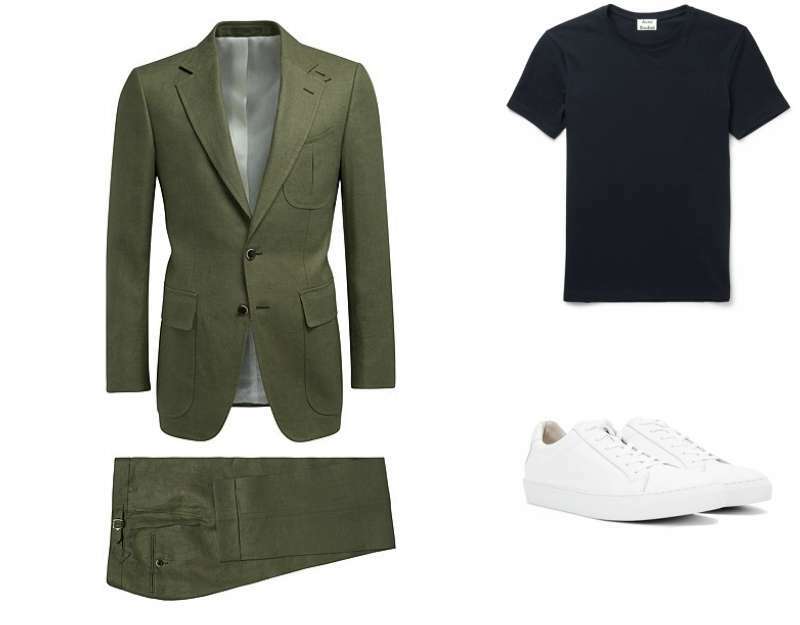 Try a lightweight green linen suit, with a plain egyptian cotton navy tee and white trainers to channel a relaxed look. Common Project (above) offer a premium model, but if you're looking to spend less, Adidas, Converse, Superga and Vans all have cost-friendly versions. 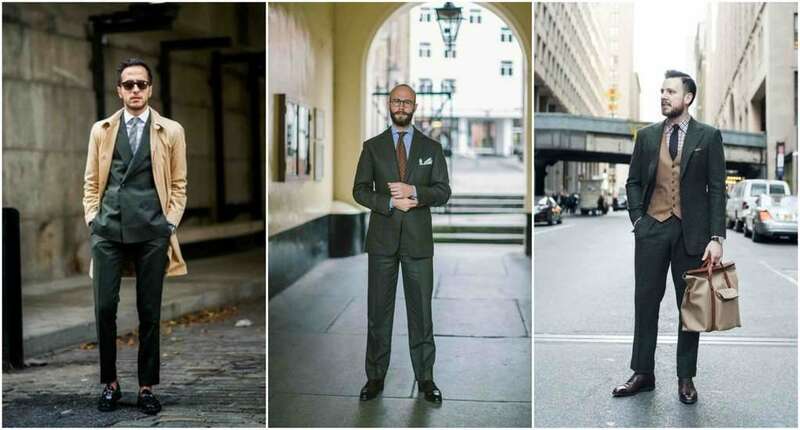 To created a more tailored and formal aesthetic, opt for a wool rather than linen suit. What colours go with olive green, you ask. A light coloured shirt such as sky blue (white, cream, grey and light pink will also work), is a natural pairing. Finish off with a spotted tie and some brown suede monks. When things get cooler towards the end of the summer, try slotting a navy cashmere cardigan under your jacket. An emerald green suit can be complemented with a plain white shirt, a slim black tie (consider velvet), and a pair of high shine oxfords. You might even want to ditch the tie. Either way, a fitting alternative to traditional eveningwear. Remember, green is not for everyone. If you don't think it fits into your overall style, or that it doesn't flatter your complexion, it might be better to avoid. The worst thing you can do, however, is to dismiss before trying one on. If a green suit is a little too much for you, think about going for a green blazer, or suit jacket. Separate green suit jackets and blazers are much more widely available than suits, so you won't have any difficulties getting your hands on one. 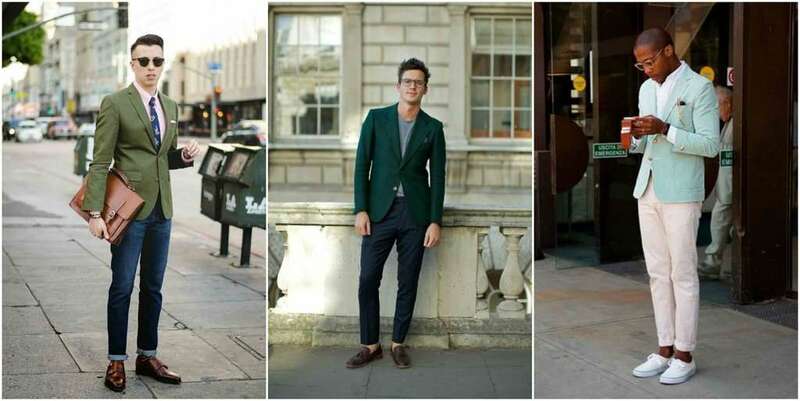 But as with suits, green blazers are still extremely underused in comparison to their grey and navy counterparts. The beauty of a darker green is that it will match almost anything. Pair with white, midwash, darkwash, black or raw jeans. Match with white, beige, grey, blue or navy chinos. The combinations are endless. 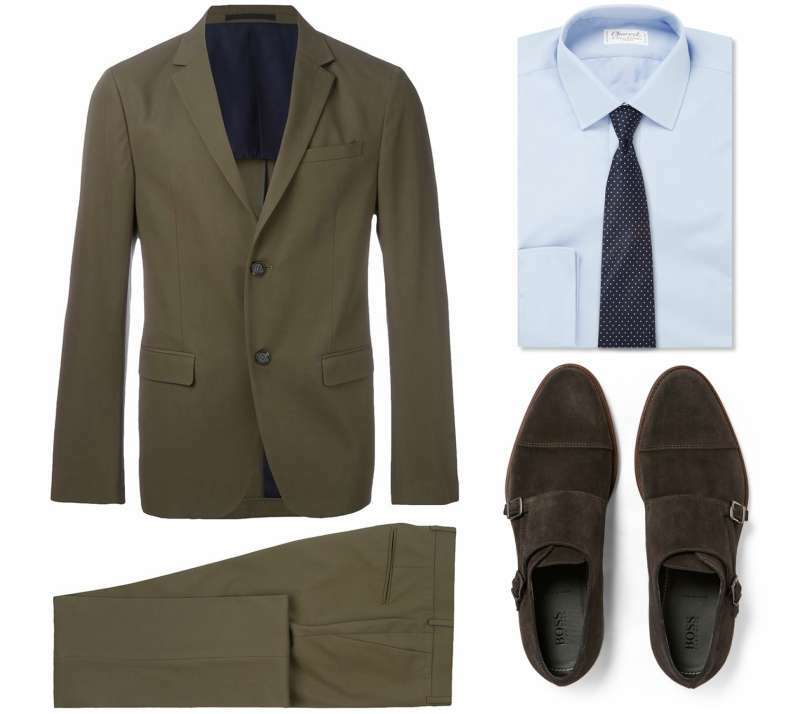 Whether going preppy or smart-casual, the green suit jacket is a go-to item. 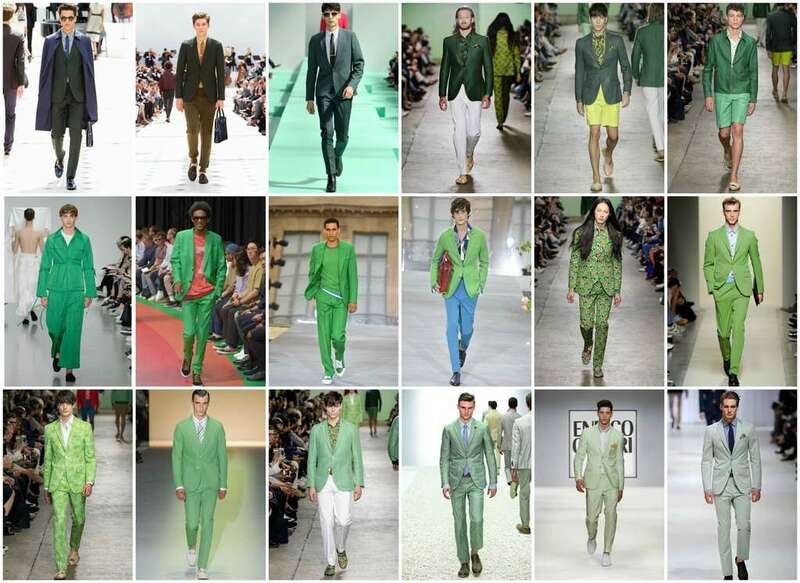 Like green suits, green blazers are available in a variety of shades from forest and bottle to olive and moss. You might want to go a bit more alternative with a men's mint green suit jacket or a blue green suit jacket. 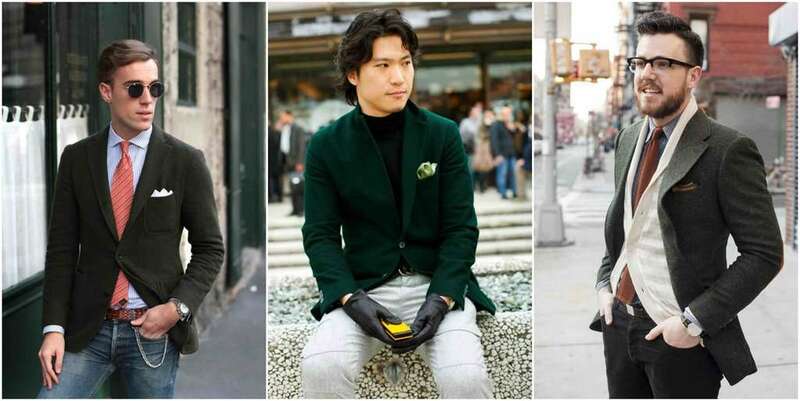 In terms of styling the green blazer, the same rules as suits more or less apply, but you do have the freedom of opting for jeans, chinos or suit trousers. If you're looking for something bright (and more daring), a lime green blazer is for you. Lime green blazers are available in both bright and luminous, and toned down forms. The former will not be for everyone. It is a difficult look to pull off, but if done right, it will do what bright red chinos do to the lower half in creating a preppy look. 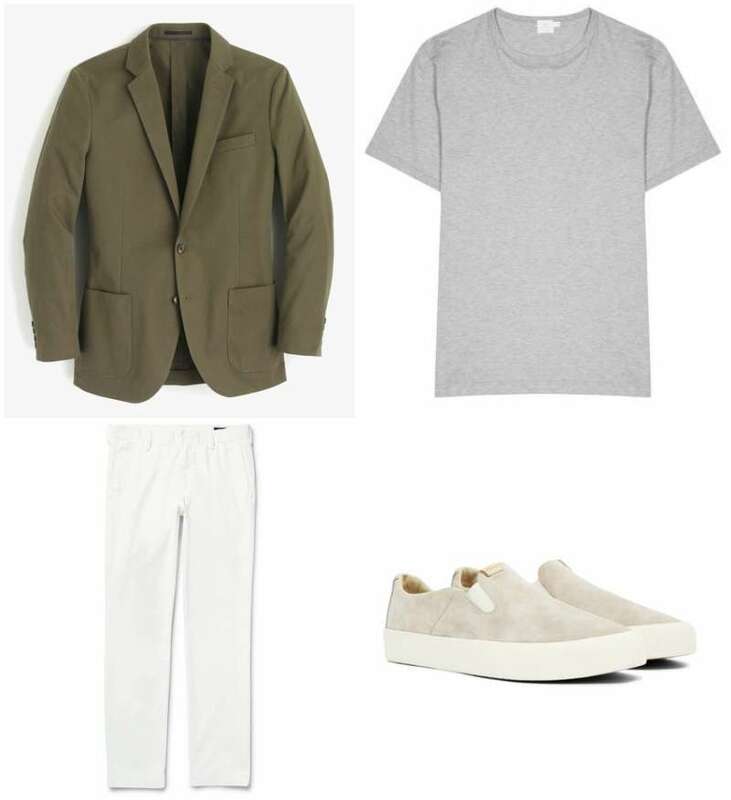 Capture a straightforward casual summer aesthetic with a lightweight olive blazer, white chinos, a classic grey crew-neck tee and grey suede slip-ons. A modern take on riviera style. For a more smart-casual look pick a blazer with a little more rigidity. 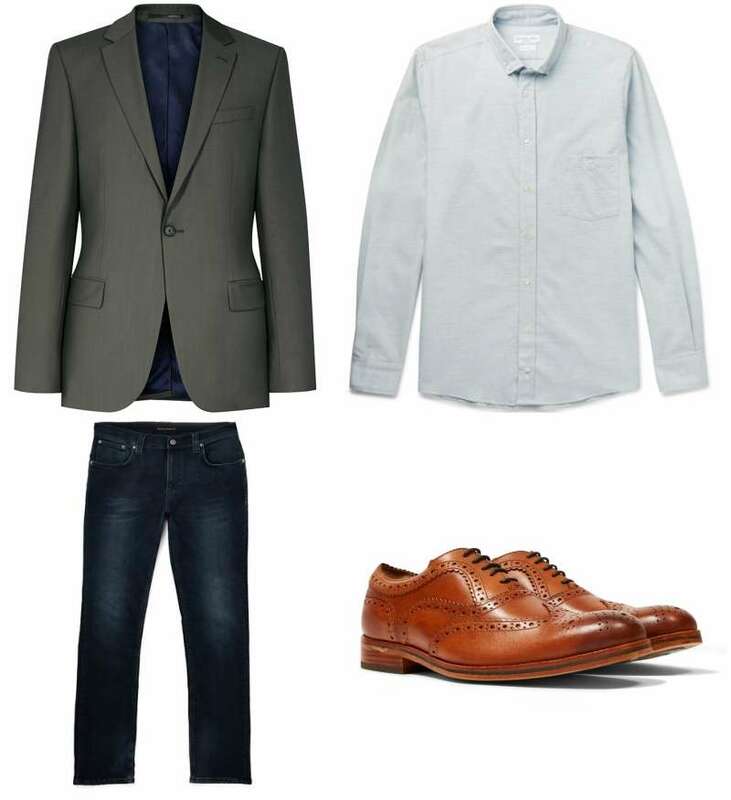 Keep things semi-formal with a button down oxford, dark-wash jeans, and timeless tan brogues. Add a tie, or swap the brogues for penny loafers. As the weather gets better (hopefully), it often becomes too hot for jeans, and if you're not a shorts man, chinos are the perfect option. The main benefit of chinos is that they're equally suited to shirt and blazer as they are to t-shirt and sweatshirt. Dress them up, dress them down, every wardrobe should have at least a few pairs. So why not try green? 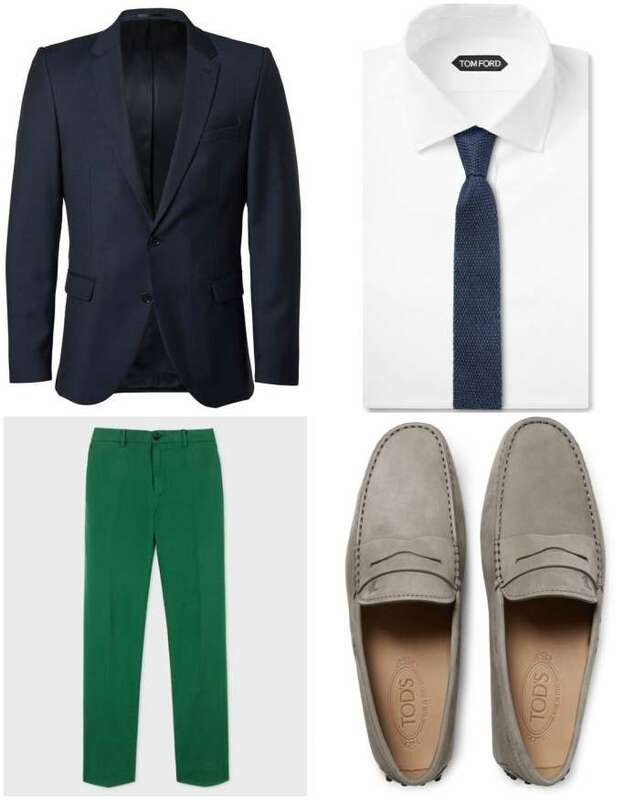 Green chinos are not by any means just a summer piece, but the summer months do offer the option to go brighter and bolder. Alternatively, play it safe with an olive or a dark green. Here are a couple of looks to think about this summer. Whether you're dressing down for the office, or going out to dinner, make pair of bright green chinos the focal point of your outfit. Wear with a white shirt and grey suede driving shoes. If you want to smarten up add a tie and navy blazer. 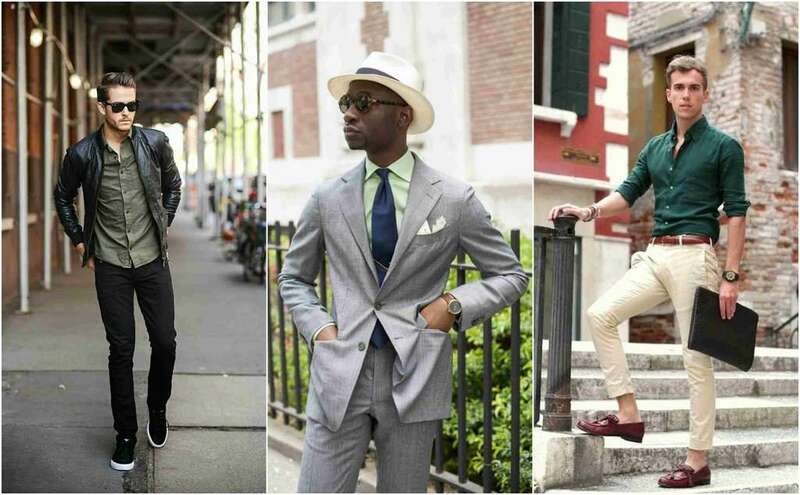 Keep it simple and draw inspiration from Pitti Uomo. A denim jacket will provide a nice contrast in texture to olive green chinos. 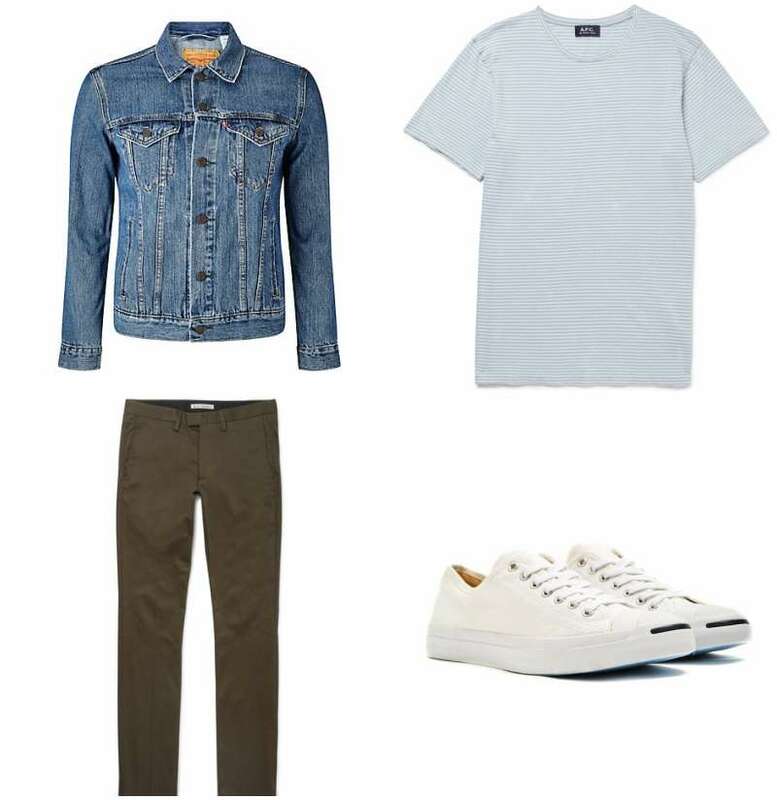 Add a striped t-shirt and white Jack Purcell's, and you're set for a casual lunch. A clean and simple summer look. Green shirts, if worn badly, will look ugly. Yes, you can end up looking like Jack Nicholson's joker, but if the correct shades are worn with the right outfits, there's nothing to worry about. Don't go for anything too bright, keep it to a pale pastel shade of green or a darker olive or forest. And don't limit yourself solely to block green. Experiment with patterns - try checks, stripes, and dots. Here's a formal and a casual look to draw inspiration from. The grey suit green shirt combination works extremely well. 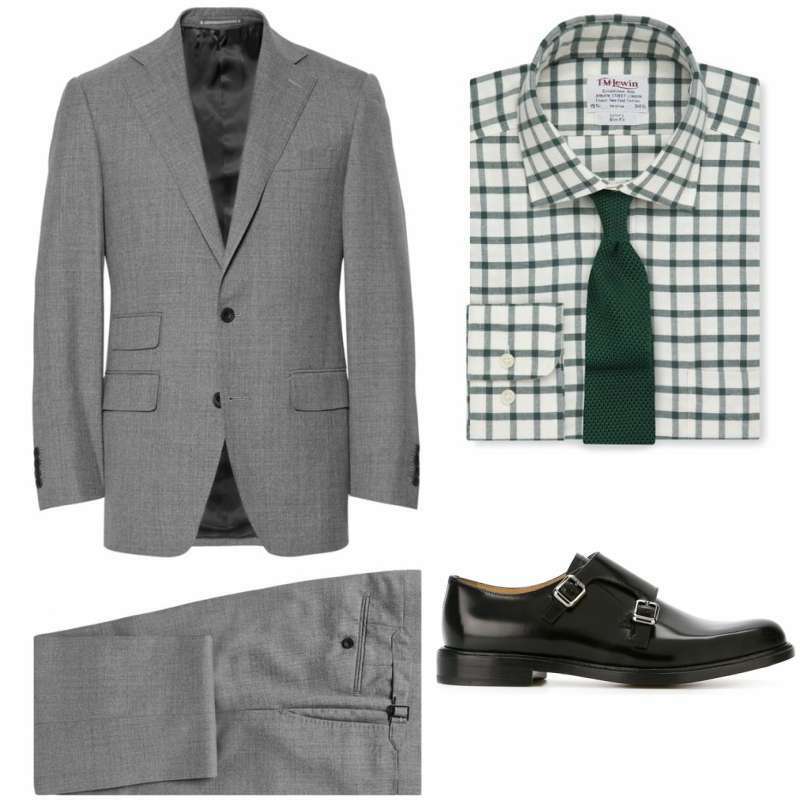 For this look, we've selected a forest green check shirt with green tie, but a pale green shirt with navy tie would also work. A slim-fit suit will flatter most body shapes, but make sure it's well tailored. There's no excuse for trousers or sleeves being an inch too long. Finish the look off with black monks. 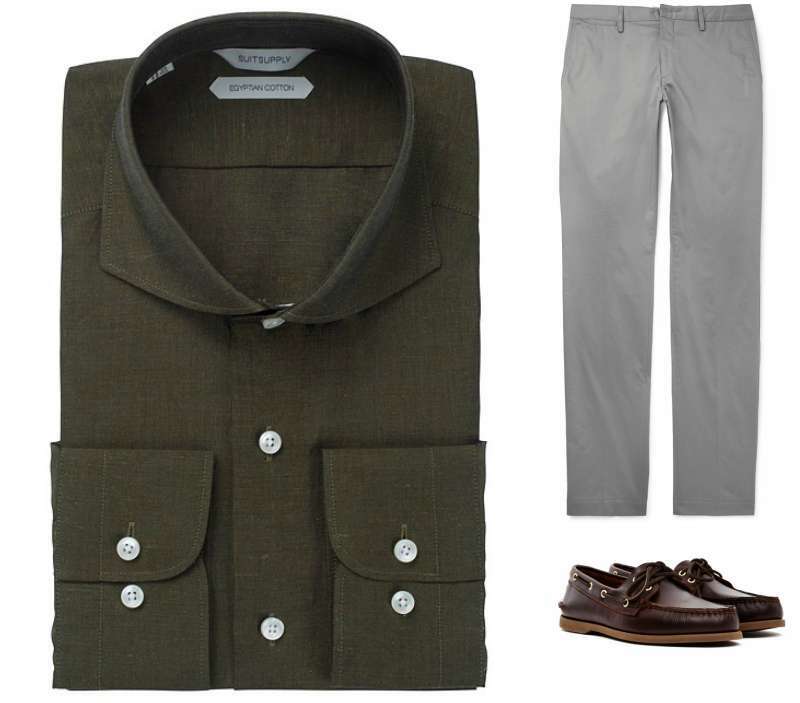 Keep things casual with an Egyptian cotton olive shirt, light grey stretch chinos and brown Sperry boat shoes. Enjoy a break from the office, and have a few drinks on a summers day in green. If you're ever stuck on how to look good in green, take some celebrity inspiration. Green is in this season. Whether you choose to add some green to your wardrobe is your choice, but recent runway shows suggest it isn't going away anytime soon. If you want to go bold and bright or casual and reserved there is a shade of green out there for you. So pick your shade of green this season, and wear it with style.